Round Diamond Ring in 14k White Gold | Shane Co. 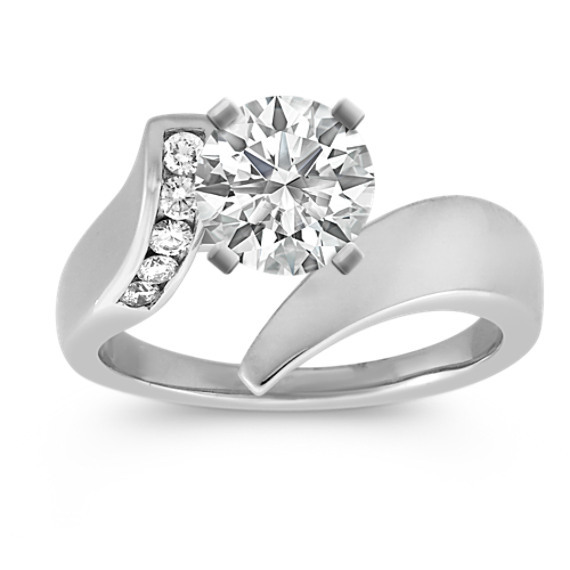 Surprise her with this dazzling diamond ring in quality 14 karat white gold. Five sparkling round channel-set diamonds, at approximately .11 carat total weight, beautifully accent the center stone of your choice. Gemstone Carat Weight :.11 ct. t.w.